help! its getting cold and i need my heat to work! My heater blow all cold. No hot. Here in Missouri its getting cold so i need this resolved ASAP!. When I turn the dial to warm it dosnt blow as hard. And the defroat does not blow jot either. What is the correct way to bleed the system? Also could it be a clogged hose? Please help. Re: help! its getting cold and i need my heat to work! i was also told to just take one of the hoses going to the water pump and put a garden hose in it? They probably are suggesting that you back flush the heater core. If you are lucky that will fix it. If not then you will need a new heater core. 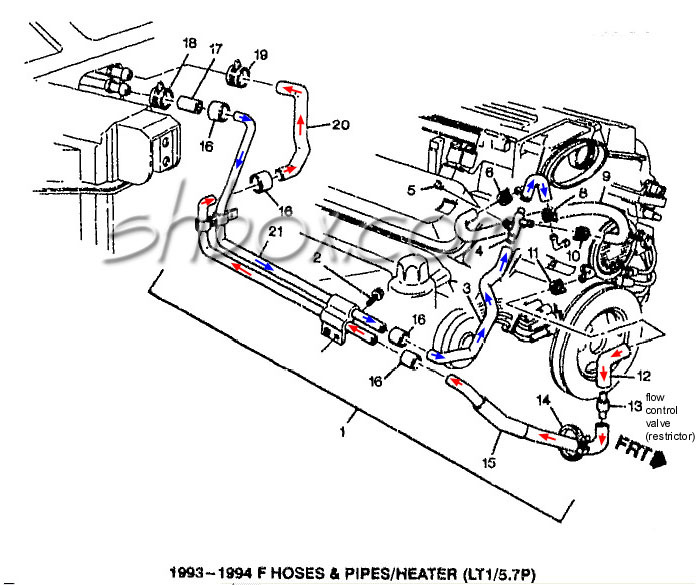 See this link for the heater hose routing. Quick Reply: help! its getting cold and i need my heat to work!